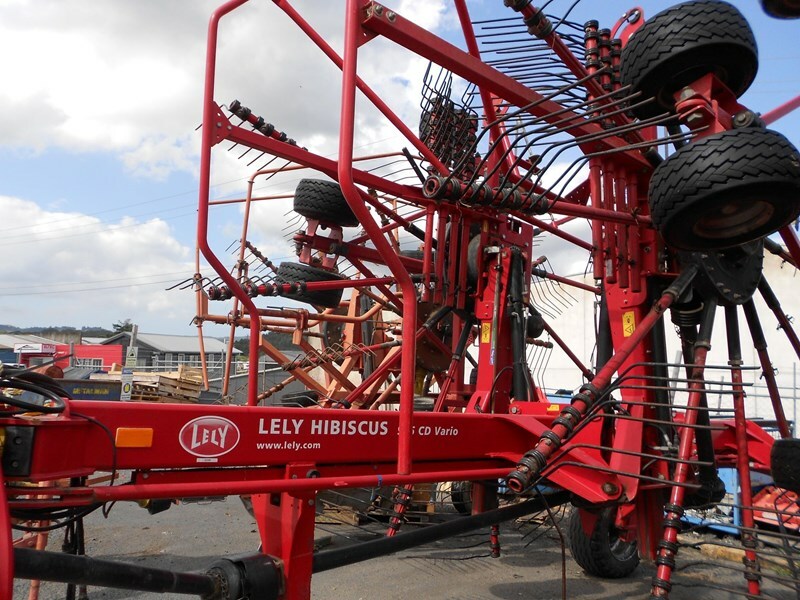 Lely Hibiscus 915 CD Vario Rake in excellent condition. 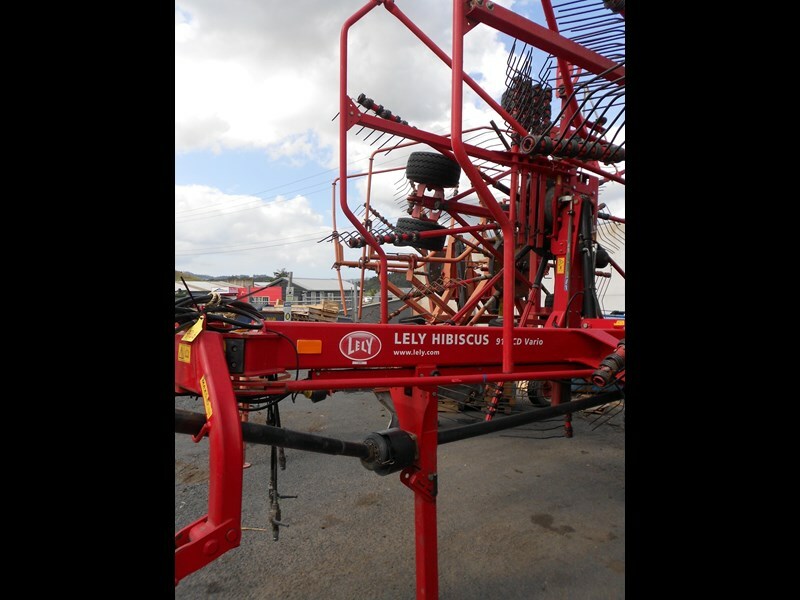 Great value for a well looked after machine, make us an offer. 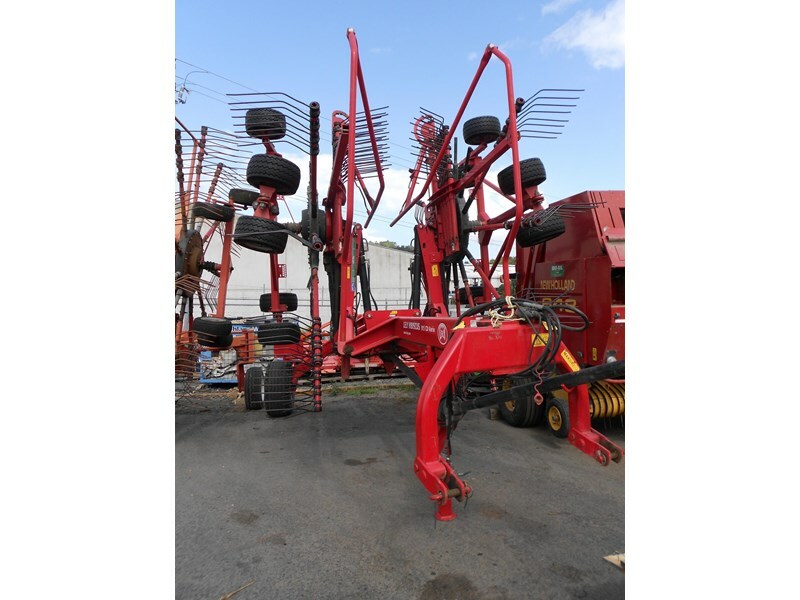 Hydraulic variable working width while raking. Very robust pivot points and frame construction. The carefully engineered steering system ensures stable driving behaviour and true to track machine following. The rotors lock themselves in the transport position. The new working height facility allows very easy adjustments. Maximum stability thanks to the wide carriage with tandem wheels and newly designed front wheels. Cross-shaped pivot points for 3D contour following. 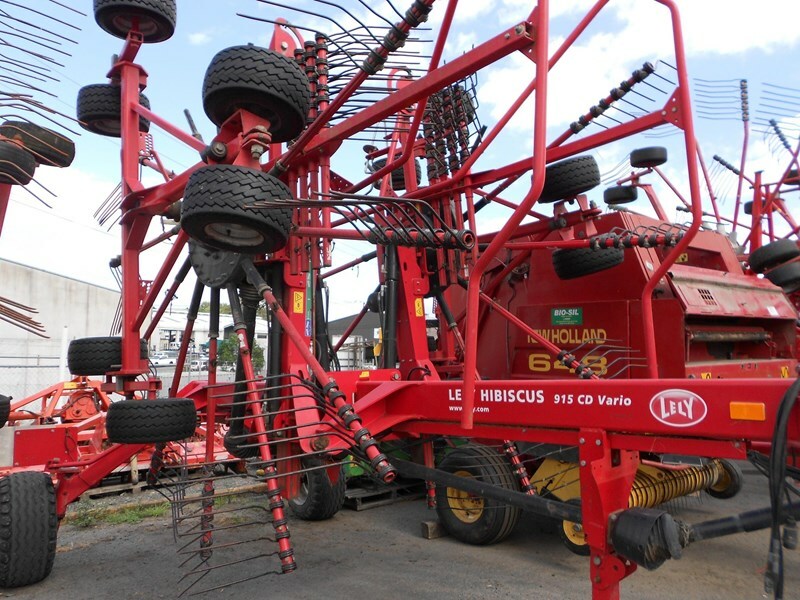 The two front wheels are close to the tines and provide a pendular and pivoting action. 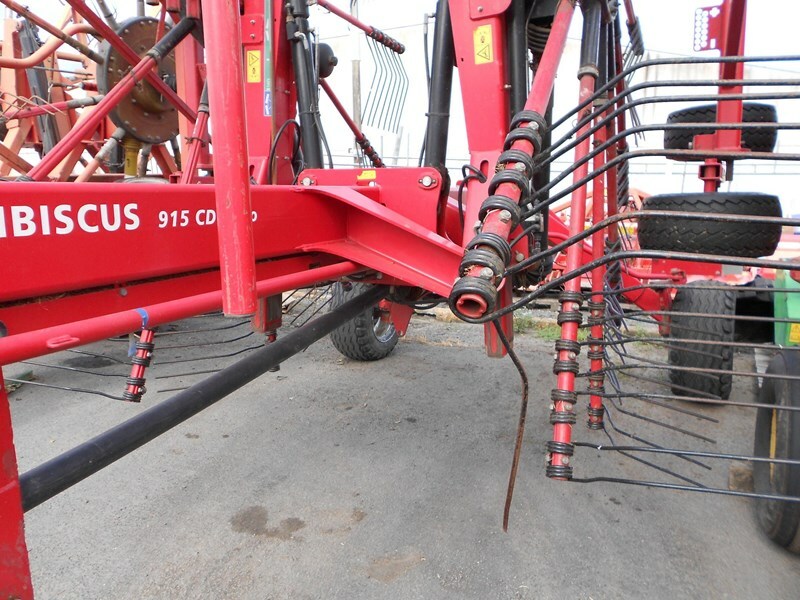 Ease of operation due to the innovative hydraulic system. 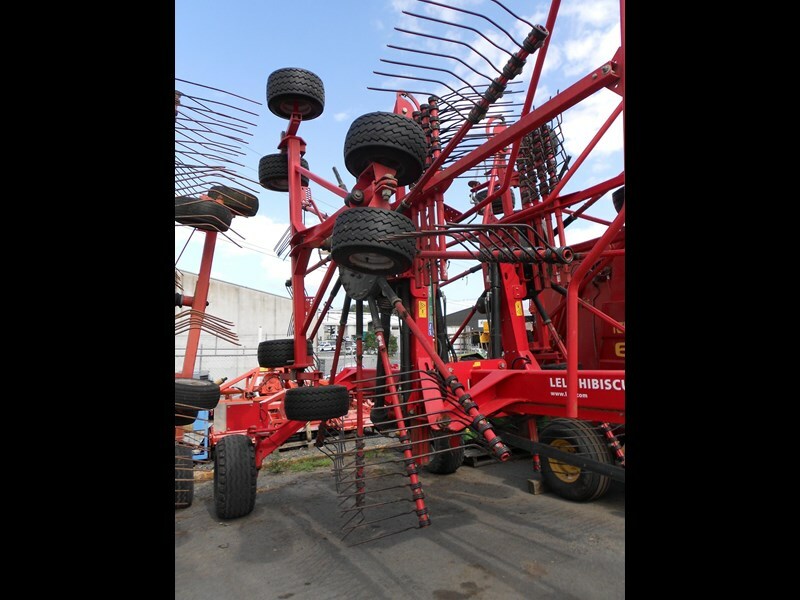 Due to the single parking jack, the rake can be coupled quickly.